The Christmas spirit started with the Lantern Parade. I was there to support our OCA Lantern created by my officemate Simon. It was an assembly of bike parts since most of my officemates are into using bicycles now. We (I tried it one time) use it to go to site inspections around the campus. 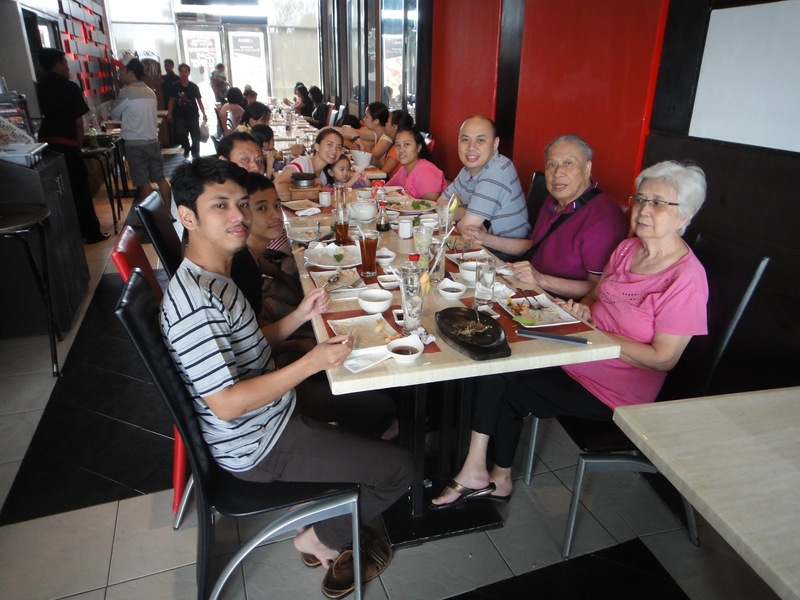 We had an advance celebration with Daddy, Mommy, Diko and his kids in a Japanese restaurant in UP technohub. A little lunch gathering that reminded me of high school days where my parents usually take us to eat kamameshi. Iya ate agedashi tofu, which is her favorite, with vegetable rice. I wonder what kind of taste buds she has to like my choice of food for her. I’m not complaining though..
We had our office Christmas Party last December 20. Iya wore her Minnie mouse costume again for fun. She kept on running around our stage and sometimes grabbing the microphone to ask me “Ano ginagawa mo nanay?”. She came almost close in winning the big jar or candies and cried when she lost! boo! but was satisfied with the loot bags when she saw it has nips inside. 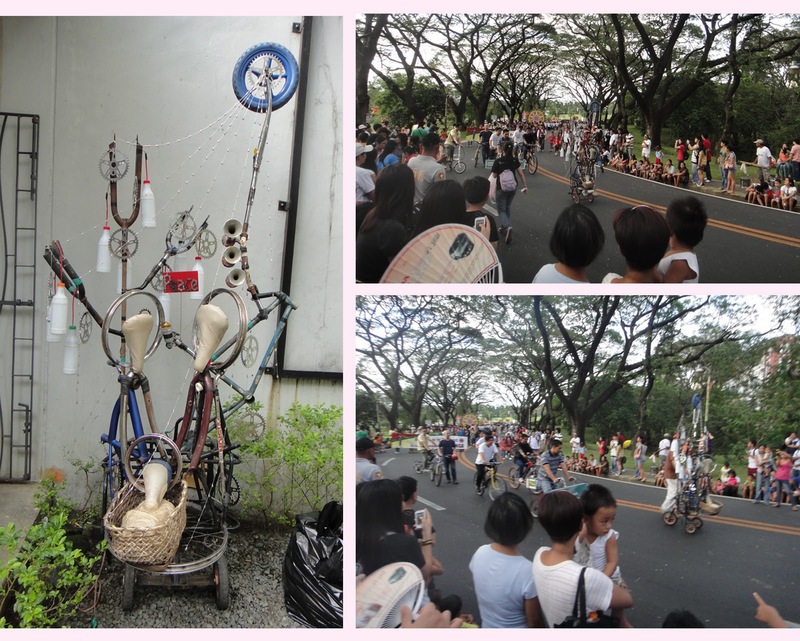 As with the previous years, we celebrated Christmas Eve in Tayabas. We were already there on the 23rd to arrange our yearly grocery baskets for the farmers. I asked her to help us but was distracted with the jelly candies. She got her own basket and proclaimed her ownership on things she likes. 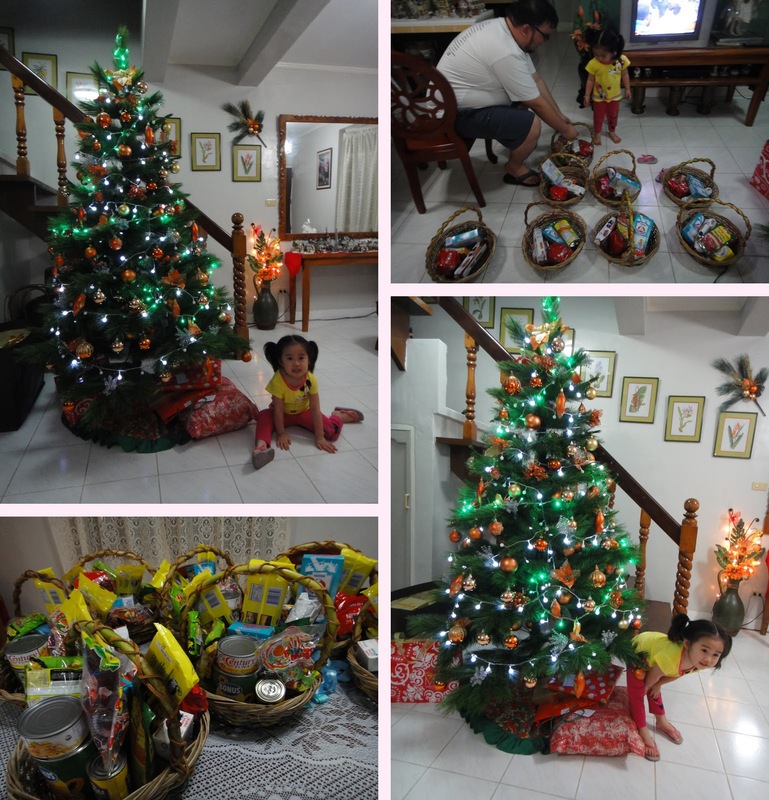 We celebrated our annual Christmas party in Nanay Lita’s house but I forgot my camera! so I have to request pictures which Uncle Ryan took that night. We ate until we were about to burst and sang using her new TV and magic sing (which I think was bought especially for that occasion) during breaks in her passively cooled house. I swear we did not even use a single electric fan!